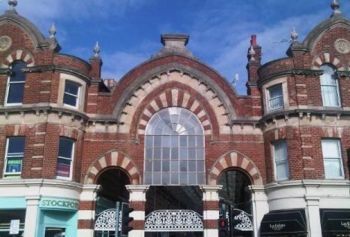 Bournemouth Borough Council: Pure Town Planning were pleased to recently achieve planning and listed building consent for alterations and conversion of 1st and 2nd floors into 2 self contained flats in a Grade II Listed premises in the Westbourne Arcade in Bournemouth. The property had been vacant for some time and this application facilitated the conversion to bring the premises into life. The Council had some reservations with the originally submitted plans because the conservation officer felt that the alterations weren’t “sympathetic to the listed building”. Following discussions with the planning officer amendments to the scheme were agreed which allowed less disruption to the general layout and fabric of the building. This overcame the initial concerns regarding the impact on the significance of the building and the proposal was deemed to maintain the character and appearance of the conservation area. The approved first and second floor flats will dramatically transform the internal appearance of this Grade II listed building and provide much needed residential accommodation in a highly sustainable area within Westbourne District centre, providing easy access to public transport and a wealth of retail. commercial and restaurant services . If you have a potentially complex Listed Building / Conservation proposal and are looking for a firm of planning consultants to steer your development through the planning process then contact us on 01202 585524 or email us at info@puretownplanning.co.uk for a free, confidential, no obligation planning consultation.